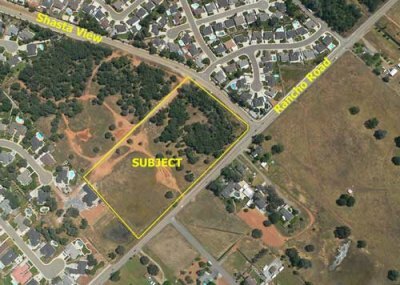 Lewis-Pipgras has acquired a 100% fee interest in approximately 10 acres of land at the northwest corner of Rancho Road and Shasta View Road in the fast-growing city of Redding, California. The property is situated in the southeast region of the city and is general planned and zoned Shopping Center. 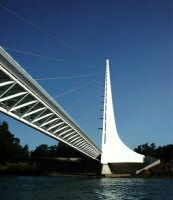 The area boasts a very upscale demographic population with expensive homes and above-average household income. The immediate neighborhood shows average HHI of nearly $70,000. The area is also noted for its level terrain, which has created opportunities for subdivision developers to meet the demand for new housing in this area. These subdivisions are projected to provide 1,000+ new homes within 1 mile of the subject property within the next 3-5 years. With all this growth, there are no neighborhood shopping centers serving the trade area (only 2 grocery stores within a 3 mile radius). In fact, there are no properties even zoned for this use within this trade area. These dynamics create a unique opportunity for future tenants of this property. Location Advantages The subject property is at the intersection of Shasta View Dr. and Rancho Rd. ; a soon-to-be signalized intersection. Shasta View Dr. is the major commercial arterial that connects South Redding to North Redding on the east side of town. It will soon be extended to the southeast, connecting to Airport Rd., thereby tying the subject property to another major commercial corridor. Rancho Rd. connects the property to Interstate 5, less than 2 miles to the west. Rancho Rd. will soon connect the subject property to the Stillwater Business Park; a 400 acre master-planned business park, just 2 miles to the east.